Noorjahan Akbar is a 22-year-old Afghani woman, who is the co-founder of Young Women for Change (YWC). The organization, started in 2011, was dedicated to advocating for rights of Afghan women at a national and international level and mobilizing men and women to speak up for the human rights of women. While working for the YWC, she and her other teammates organized several protests to condemn gender-based violence, street harassment and discrimination, created a center for women including an internet café and a learning center, and established a male advocacy group. In addition, Noorjahan and her team posted over a thousand posters about women’s rights around the city of Kabul and held sister sessions, meetings with civil society organizations, and employed media to cover the issues of women. When she left to conduct her undergraduate studies in the United States in 2012, she felt that YWC had become independent and self-sustaining, so she decided to limit her involvement. This allowed her to focus more on her writing and education in the United States. She gives speeches in Afghanistan whenever she goes back to her home country. 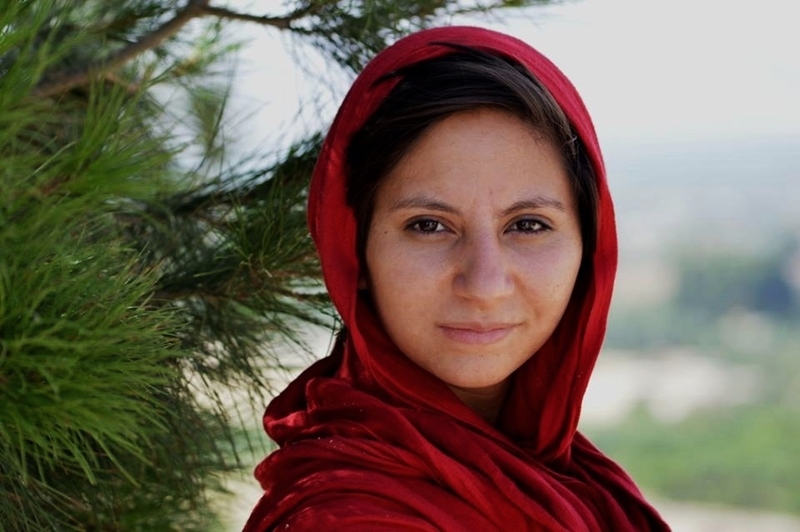 She is a passionate blogger and freelance journalist who has published for Al-Jazeera, UN Dispatch, and Safe World for Women on the experiences of women in Afghanistan. She also regularly contributes to several Afghan websites and newspapers. In the summer of 2013, Noorjahan and a friend published a collection of women’s poetry and writings in a book. The book is called ‘Dukhtarane Rabia,’ daughters of Rabia, in honor of the first Afghan female poetess, who was killed by her brother for writing poetry and falling in love. The Facebook page FreeWomenWriters is dedicated to publishing the writings of women and men who write about the issues and concerns of women in Afghanistan. The audience of the page is Afghan people, which is why the entire material is in Persian. Noorjahan hopes that this page will become a safe space for female writers to share their writings. While the level of literacy in Afghanistan remains low, Noorjahan is confident that, because over 67 percent of the Afghani population is under 35 and most of the youth is engaged in some form of education, writing will become an increasingly powerful tool for bringing change in the country. There are many changes that Noorjahan would like to see in her home country, but one of the key ones that she has been working to achieve is creating a united, widespread and grassroots movement for women’s rights that would include men and women from all walks of life, ethnicities, races and socio-economic backgrounds in Afghanistan to participate in protests and mobilize for change. Noorjahan comes from an educated family that has always supported her, taught her to be independent and vouched for her rights. However, the experience of poverty, war, and sexism faced as a child growing up in Afghanistan brought to her attention the injustices existent in the status quo and gave her a sense of responsibility to challenge them. Studying in Pakistan, Afghanistan and the US has taught Noorjahan that misogyny knows no borders, as women everywhere are victimized often blamed for the discrimination and violence they face, and treated like second-class citizens. However, this taught her not to be hopeless or accept the status quo, but to create a solidary for those who fight for equality that also knows no borders. Noorjahan intends to conduct a master’s program in journalism. In the long run, she wants to go back in Afghanistan to report on the stories of men and women who are striving to create a progressive Afghanistan despite the threats they face. She plans to return also because she believes that her country needs educated youth to partake into changing it and transforming it into a stable democracy and wishes to contribute to that process. In addition, she believes that the scholarships and education opportunities that she received were partly due to the fact that she is from Afghanistan and owes her country and people to return their support by doing the best she can to be a positive voice during these years of transition.